Replacement of Union Street Culvert over Deep Voll Brook – KC Engineering and Land Surveying, P.C. 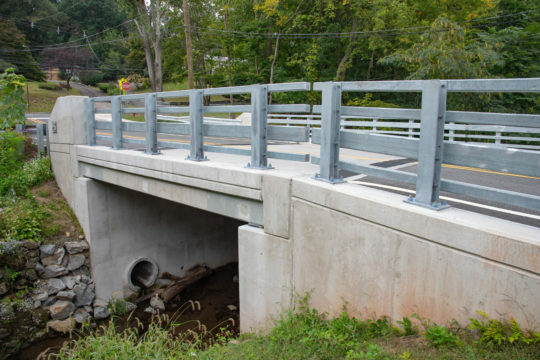 This project consisted of the replacement of an existing bridge that carries Union Street over Deep Voll Brook with reinforced concrete precast slab beams supported by reinforced concrete cantilever abutments resting on spread footings. Also included was obtaining all necessary NJDEP permits, a flood hazard area individual permit, freshwater wetlands general permits, a soil erosion permit, coordination with utility companies for relocation of their facilities, and a traffic detour plan.